A picture of a little brother on the Green Truss section of the White Salmon taken in July 2003. I made my first trip back to the river when I kayaked the lower Cispus, a fun but easy river back in May 2005. Now I wanted to try something a little more difficult, something that the White Salmon could offer. So, on a nice, spring morning, I was sitting in my kayak staring down rapids harbored between rock cliffs, covered in plant life, feeling a combination of emotions. Even though it was already late morning, we weren't in a hurry. I was joining family who were going to be rafting along side my brother and I. In those moments between, there was time to remember back to my last experience on this river where we had kayaked the Farmlands down to Northwestern Lake, a long stretch of whitewater unintentionally enjoyed. The idea of kayaking two sections of class V that we had never run and finishing it off with a classic class IV, a favorite of guiding services, was nearly more than I could handle in a single day (17.1 miles), especially when the next two were spent on the Upper, Upper Cispus and the Ohanepecosh River. Although I didn't know it then, these would also be the last rivers I would ever kayak with my best friend, Ben Manfredi. 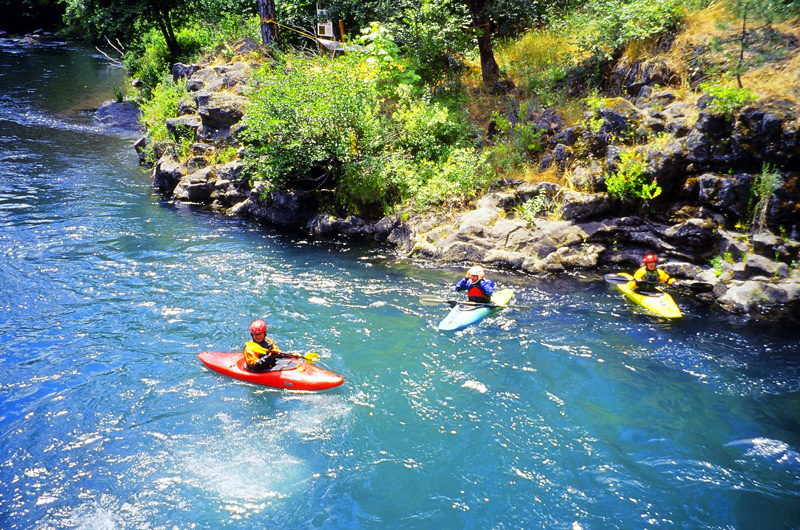 With my twin brother and others, he would kayak the Elwha River, and not come out. I think you would understand then that this wasn't just a kayak down a river for me; it was something I needed to drum up the courage to do because there was more than rapids waiting downstream. Instead there were reminders of a friend; however hidden to me. They were reminders that had the tendency to capture my attention and wrench out my past - that of a younger man, more foolish and more willing to look risk in the eyes and spit. Like a school bully, I appreciated the teacher's powers, but I surely didn't respect them. Now as an older, wiser man I would face the reality of my selfish ways, which I don't frankly regret, but wish had ended differently. Amongst these thoughts, I slowly scooped up the courage to push my boat off the rocks and slide into the crystal clear waters that frothed and twisted through the first few hundred feet before I found an eddy to wait for my brother to come down. With a medium to low flow, I watched him easily manage his way through. Followed by him, some other kayakers allowed this rapid to live up to its namesake, Maytag, which must have been on the spin cycle. Next came the raft filled with the family. They went sideways over Top Drop and scooted by us and around the next corner. Preparing to jump off of the bridge beneath Husum Falls. The next few miles didn't maintain the intensity that this river begins with. Instead it continues over class III rapids, nicely split apart by pools where other rafters and kayakers sit and rest, talk and playboat. The laughter and screams continue between. I let Josh and the family pass and hung back, floating slowly, bidding my time. There was a smile on my face because I was happy and excited. After a time, I paddled hard to catch up and by then there was more rapids to enjoy. There is corkscrew, Waterspout, and Stairsteps, all names that befit their nature and temperament. The biggest drop of the run is Husum Falls, a 10-ft pourover that is best scouted on the left and ran right of center, boofing a flake into the pool below. At the bottom, after running it, I waited for Josh to come down. Meanwhile the others were portaging the raft, which at this level wasn't necessary, but the old man is still a newbie. After those acrobatics were done, more acrobatics off of the bridge cooled us off before the last few miles of class II and flatwater. The biggest challenge was keeping the raft from blowing back up the lake before the take-out. By that time Josh and I had switched to the raft and let our Aunt and Brother's wife take the boats the rest of the way out. This wasn't so bad, very much due to the fact that we had the spray guns. While going by one dock, a group challenged us, and we turned the raft about and made them run as fast as they could. Jason waiting with other kayakers. The next two days we would enjoy more fun and more reminders. That night there was a BBQ and the next morning there was an exodus south to mountain bike Post Canyon. An adventure that would turn out to be the beginning of one long adventure that wouldn't end for another 44 hours.